Heat oven to 375°F. Line large cookie sheet with cooking parchment paper. Separate dough into 8 triangles. 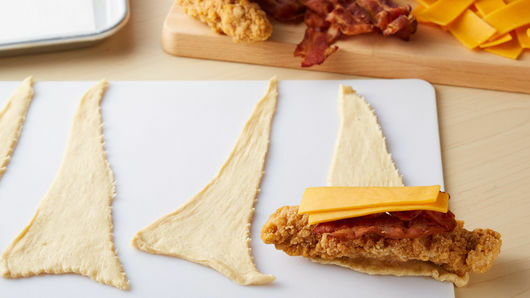 Place 1 chicken strip on wide end of each triangle; fold 1 slice bacon in half, placing on top of chicken strip, and add 2 strips of cheese on top of bacon. Roll up each crescent, ending at tip of triangle. 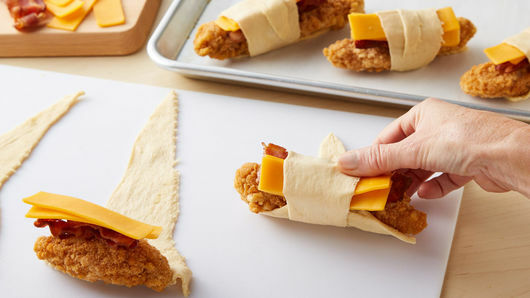 Place cheese side up on cookie sheet. Bake 17 to 21 minutes or until deep golden brown and chicken is heated through. 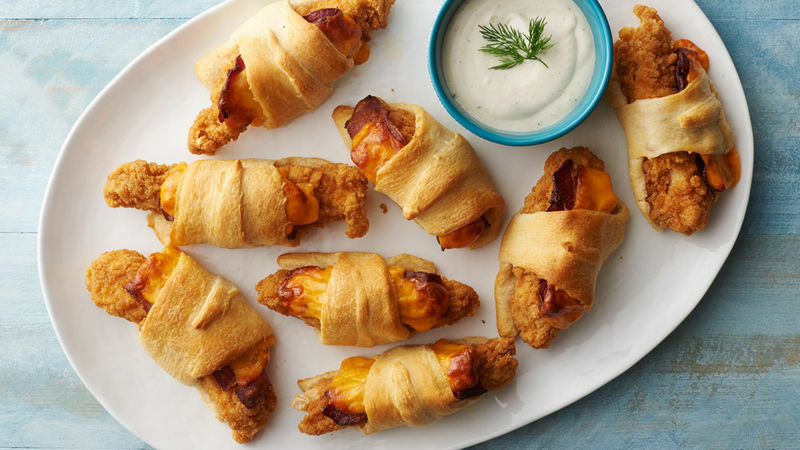 Serve warm with ranch dressing. Mozzarella or Monterey Jack cheese may be substituted for Cheddar. Amp up the ranch by stirring in 1/4 teaspoon Sriracha sauce.